As reported yesterday, Bungie has announced the details about its latest project at this year's Tokyo Game Show – a prequel to the mighty Halo 3. Halo 3: Recon is due next Autumn (yep, you have to wait a year folks!) and will be released as a standalone expansion, with the events in the game set before the events of Halo 3. 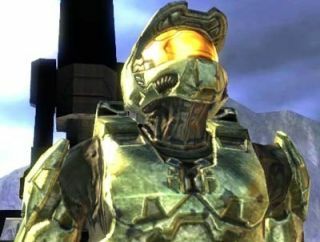 Bungie informed the Japanese gaming masses that Halo 3: Recon is set to be "a new chapter in the Halo saga that lets gamers experience events leading up to the epic story told in Halo 3 through the eyes of a new hero in the Halo universe." Players will play as a UNSC Marine, with Bungie teasing us with the promise of "hours of new campaign excursions and multiplayer gameplay". For Master Chief fans who just cannot wait that long, the new RTS Halo Wars, developed by Ensemble, is set for release in early 2009.